I have never read anything by Ilona Andrews before, but I have often heard good things about her stories. So, when I saw this e-novella was available for free download, I decided it was a good chance to give her work a try. I found this novella to be an enjoyable quick read. Despite the brevity of the piece, the storyline was still well plotted and paced, with plenty of action to hold my interest. 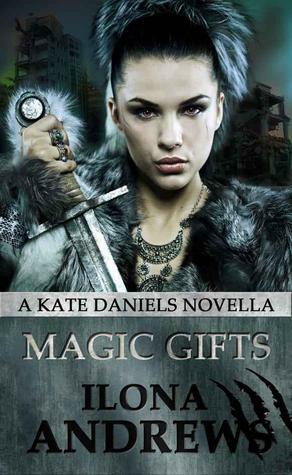 Since this book falls well into the Kate Daniels series, there was a lot of background on the world and characters that I was not familiar with. However, I was still able to grasp enough to be able to follow the story clearly. This has certainly been a good way to whet my appetite and I was pleased enough with this story that I think I will try to go back and read the earlier novels in the series at some point. I didn't know this was available. Thanks for mentioning it. I love Kate.